Almost every female celebrity, from Blake Lively to five-year-old Suri Cruise, appears to be sporting a pair of Christian Louboutin shoes, with their signature red soles and infamous $500 to $1,500 price tags. In 2009 Jennifer Lopez sang about the shoes’ “red bottoms” in her track “Louboutins,” which underscored the desirability of these highly sought after shoes. The “Chinese red” outsoles are synonymous with the Louboutin brand and distinguish the shoes from those of Louboutin’s competitors. Louboutin sought to protect his signature design by requesting a trademark for the red soles and was granted one in 2008 by the American Patent and Trademark Office. In April 2011 Louboutin filed a trademark infringement lawsuit against its competitor Yves St. Laurent (YSL) for selling “virtually identical” shoes with red outsoles. Although Louboutin’s soles are “Chinese red,” the designer claims that YSL uses shades that are similar enough to cause confusion and deceive consumers. 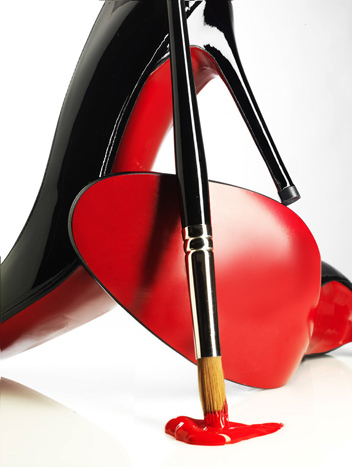 Louboutin claimed that he was the first designer to implement the idea of putting red soles on women’s shoes. Consequently, Louboutin requested a preliminary injunction enjoining YSL from selling the shoes in question and sought more than $1 million in damages for alleged trademark infringement. In response, Louboutin received a slap in the face when a judge in the Southern District of New York held that Louboutin’s red soles were incorrectly granted trademark protection and that the designer should no longer have exclusive rights over the color. The judge stated that, “because in the fashion industry color serves ornamental and aesthetic functions vital to robust competition, the court finds that Louboutin is unlikely to be able to prove that its red outsole brand is entitled to trademark protection.” This holding supports YSL’s belief that no designer should be able to acquire a monopoly over a color. Louboutin, however, is not taking this lying down. The designer is fighting back and filed an appeal in October claiming that the judge made “errors of law in determining that Louboutin’s red outsole mark was likely invalid.” The designer states that the court’s sweeping per se rule violates the Lanham Act and Supreme Court precedent. Louboutin believes that the brand recognition of the red outsoles and their association with the designer are sufficient to prove that that the color deserves trademark protection. The New York Court’s ruling has sparked fear in other designers who have trademarked their signature colors. The court’s decision on appeal would have significant implications for these companies, given that they are at risk of losing their trademark protection. Specifically, Tiffany & Co., which has trademarked the unmistakable robin egg blue that adorns all of its boxes, has filed its own brief in support of Louboutin’s appeal. Tiffany & Co. requests that the court reverse its decision and uphold the validity of trademark protection for a particular color. However, if the Court of Appeals affirms the decision, we may be able to purchase a look-alike pair of Louboutin’s $1,500 red soles for $20 at Payless ShoeSource very soon.